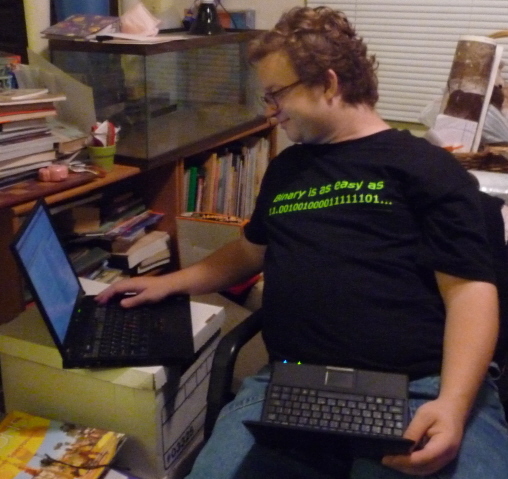 The word "binary", the string of '0's and '1's, and the phosphorescent color scheme (reminiscent of computer screens in the old days), all captivatingly combine to give the impression that the Binary Pi T-Shirt is a canonical computer geek shirt. 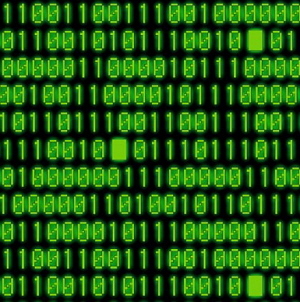 But most computer geeks seem to think that binary is only for whole numbers. So it takes a math geek to truly understand this shirt. if they're on only one computer at a time. A customer who is a retired math teacher told us that he was buying it to "out-geek [his] geeky son-in-law". Yet the Binary Pi T-Shirt is really attractive. The font, Verdana, was selected for the aesthetic serifs on the 1's and the curvature of the 0's (i.e. 1 and 0). The silk-screening is done with an extra layer of white underneath the fluorescent green, in order to make it appear even brighter. And the background color is a deep dark black because the shirt is made of heavyweight (5.3 oz.) pre-shrunk 100% cotton. We get lots of compliments on its appearance from people on the street who readily admit they have absolutely no idea what it means and they just like the way it looks! 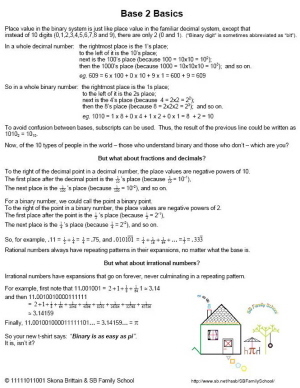 then see our explanation on Base 2 Basics. 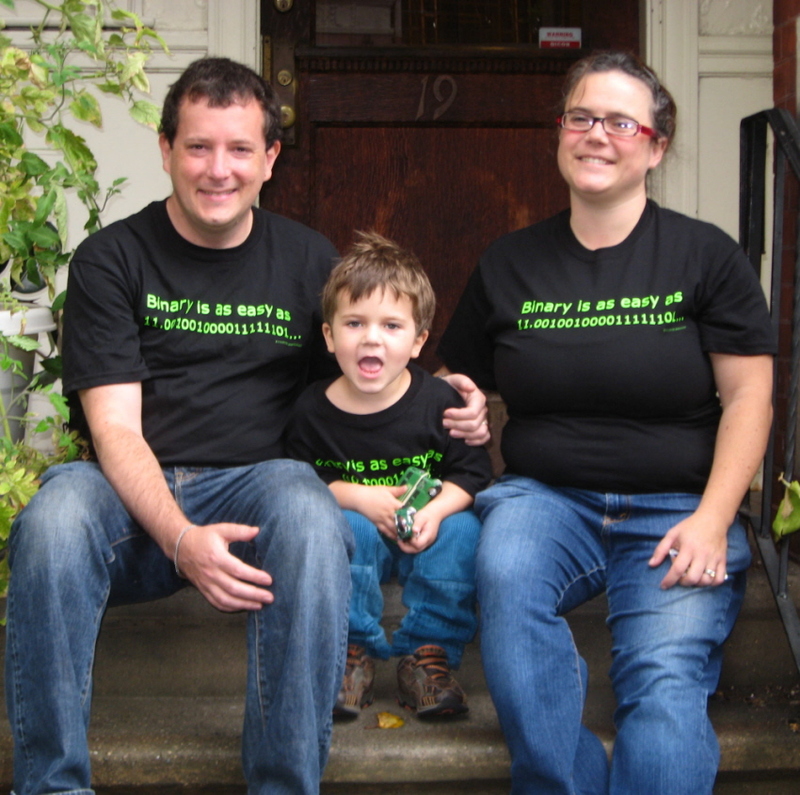 The Binary Pi T-Shirt comes in all sizes from Youth Small to Adult Extra Extra Extra Large, unisex style, as illustrated by this brilliant and together family our photographer just happened to come across sitting out on their porch, while he was idly strolling through one of those intellectual suburbs of Boston. Please note that this shirt runs large, so if you're debating between two sizes, we recommend that you order the smaller one. It's 100% pre-shrunk heavy cotton, but it will shrink a little more if you wash and dry it at a high temperature. To place an order, call SB Crafts at (805) 967-2270, or email info@SBCrafts.net. 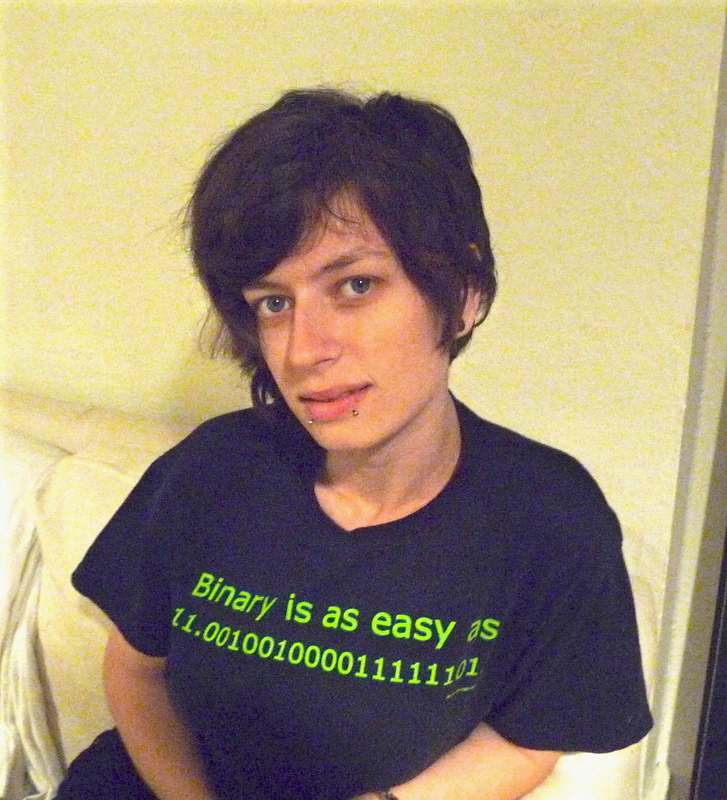 The price of the Binary Pi T-Shirt is $20 ($22 for sizes larger than XL). California residents, we pay your sales tax! Shipping is a flat $7 no matter how many you order. If you're buying this shirt as a gift, you may want to get it wrapped in coordinated wrapping paper, for only $3 extra. The wrapping paper says "wrapping paper" in binary ASCII code all over it.